As I wrote in a previous blog, my new hero is Julie Creffield who started the #ToFatToRun movement. It all started because she liked to run but felt ostracized and criticized by others when she ran. She decided to confront the bias and keep on running. This inspired me to see if I could run. I started out with intervals on the treadmill at our local YMCA. That went well enough so I thought I should try and see how long I could run without going back to a walk. I made it to 25 minutes and repeated that a few of times. Then I thought I would try a "real run" outdoors starting from my front door. The route I picked was one I have done with my dogs. I didn't want to get lost my first time out. I did it! I ran for 27 minutes for a distance of 2.58 miles. As you can see by my face I was thrilled I completed my first run. I really could do it! 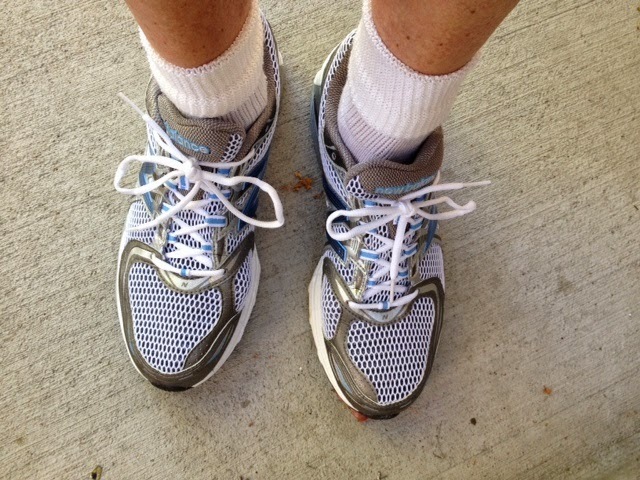 Since I want to support others in taking Julie's challenge to run-- no matter how big we are or old we are-- I thought I would share some tips that have helped me get started and to keep running. 1. Invest in a good pair of running shoes. Don't skimp on quality because good shoes make all the difference on how your body feels at the end of a run. 2. Wear clothes that are comfortable and, if you are big like me, think about shorts that go down your thigh and won't hitch up as you run...that will keep you from getting chafed as you run. 3. Get ready to run by working out and building up endurance. Weight training and core body work outs have really helped me with my capacity for running and increasing the amount of time I can run. Also, learning to run by doing intervals of walking and running on a treadmill allowed me to see I could do it and increase the amount of time I can run. 4. Listen to peppy music. I find music that is upbeat and energetic helps me keep going and keep the pace up. I use iTunes Radio and listen to the Fitness Beat station, as an example. 5. Pick running routes in an area that is known to you and that provide attractive visuals. Sometimes in a run you need distractions to keep going and transcend your tiredness. I find having interesting or beautiful things to look at helps. 6. Track your progress. 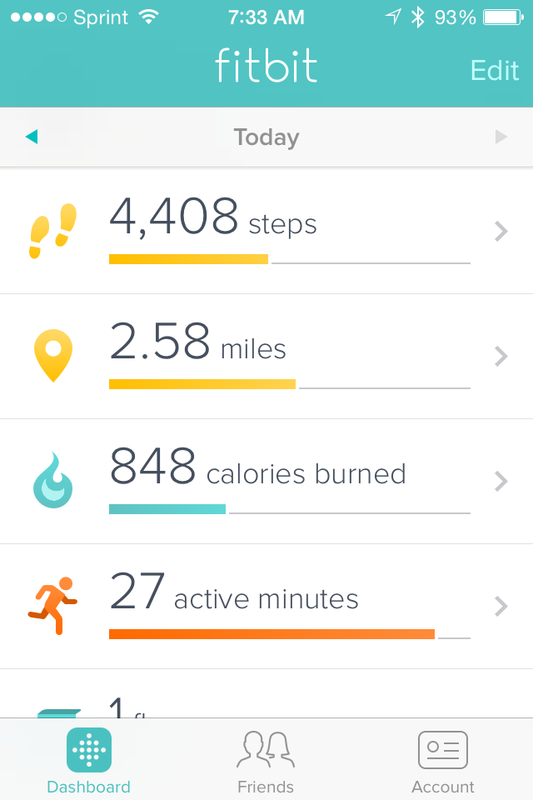 I use fitbit. It has been the best investment. I hook it to my bra every morning. For running it really allows me to track my distance and time. These are key stats for me to follow so I can continue to challenge myself and improve. It is also a visual way to celebrate each run and my commitment to keep on doing it. 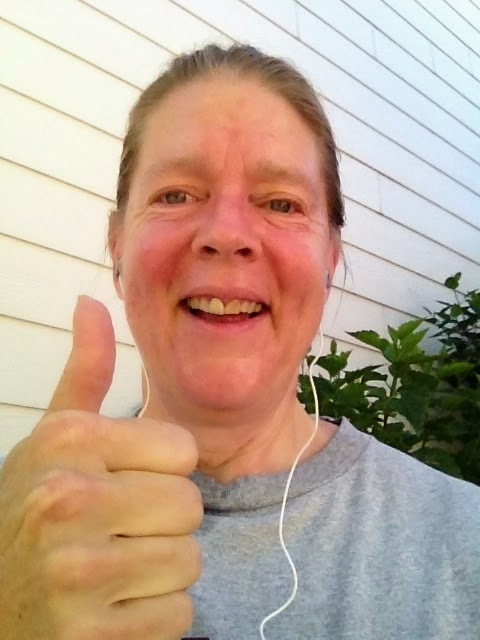 So this #57YearOld #FatLady is learning to run and enjoying it. It may not be pretty to watch and it may not be at a win-the-race pace but I am out there living a healthy lifestyle and making progress. Hope you take the challenge too and learn you are NOT #TooFatToRun. #TooFatToRun?...Its Time to Join the Movement!